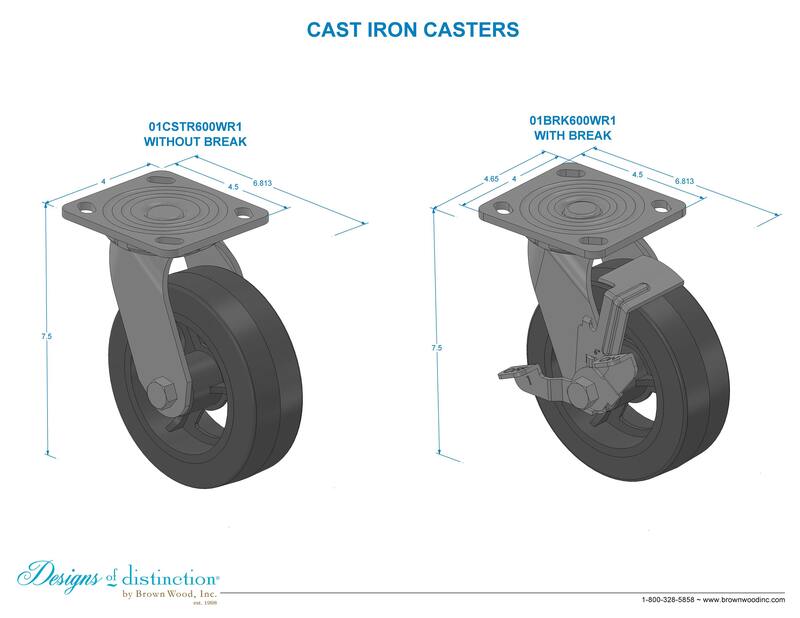 6" Caster wheel with 4.5" x 4" top plate. Add to square columns for a trendy and functional Modern Farmhouse look. Create a multi-functional table space by simply adding these rolling casters. The 6″ Iron Casters are part of our Modern Farmhouse Collection and can be paired with our columns to create a rolling island or moveable table. Adding casters to columns is perfect for the small kitchen that benefits from having moveable tables and countertop space.